Here at H&L, we're always intrigued by people who think out of the box and show beauty where others may not always see it. 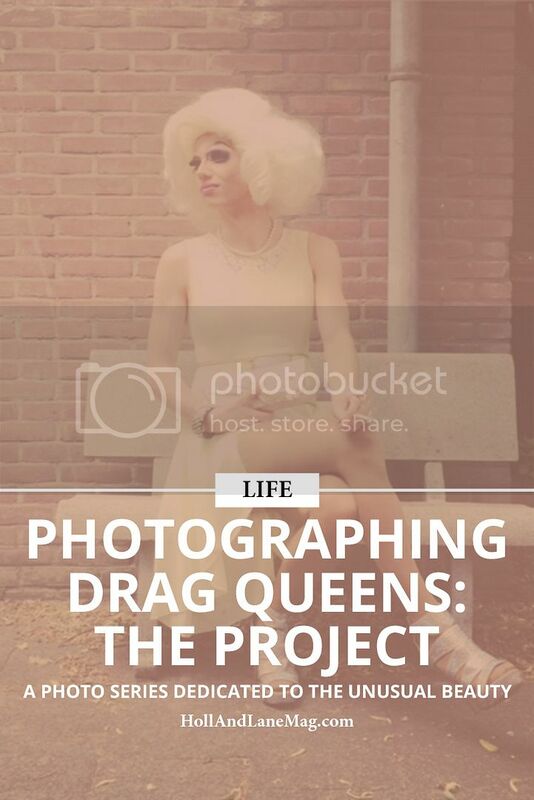 When we learned of Silvia Veldkamp, a photographer in the Netherlands, and her project of photographing drag queens and transgenders, we were blown away by the beauty of the photos. So we asked her to tell us a bit more about her project. I started this new project about a year ago. In my hometown, I saw a tall lady passing by and when I looked in her eyes, there was something about her. Later on I found out she was born a boy but now living as a girl. That triggered my interest. As a photographer I always look for the different in the world. After this, I posted on Facebook that I was looking for transgender's, transvestites, and drag queens- all the people that don't fit in the usual boxes of male or female. I found out there are so many men and women living with a secret, fear and doubts. Drag queens are artists and over the top. They are colorful and hysterical. They are easier to approach and photograph. Transvestites are a different story. They are more behind closed doors. Transgender's are born in the wrong gender body. It took me awhile to find and get to know them. It's a closed world and full of a lot of misunderstanding. They approach me now, they hear about my series and want to participate. I want to show their faces and tell their stories. They are just people who want to be accepted as they are. Some that I meet have even lost family because of who they are. When you take the time and effort to sit down and make a conversation with them, you realize that they are funny, doubtful, hopeful humans beings finding their place in life.